The weird part is when yelp recommends for you to go drink borax and you do it because they've never been wrong in the past. OK, is no one else going to say it? Olive oil is not made of hydrocarbons. Hydrocarbons are exclusively carbon and hydrogen, but olive oil also has oxygen. trovatore wrote: OK, is no one else going to say it? Olive oil is not made of hydrocarbons. Hydrocarbons are exclusively carbon and hydrogen, but olive oil also has oxygen. A gold ring contains other metals as well, but we still call it a gold ring. If you ask a random guy on the street whether olive oil is a liquid hydrocarbon, do you think they'd start being pedantic with you about the oxygen? 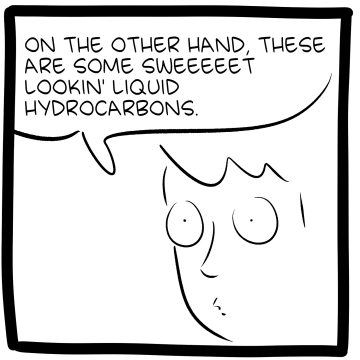 Well, anyone who does say it's a hydrocarbon is just wrong. It's not a matter of being pedantic. It just isn't a hydrocarbon, simple as that. trovatore wrote: Well, anyone who does say it's a hydrocarbon is just wrong. It's not a matter of being pedantic. It just isn't a hydrocarbon, simple as that. The "random guy on the street" test gives inconclusive results. 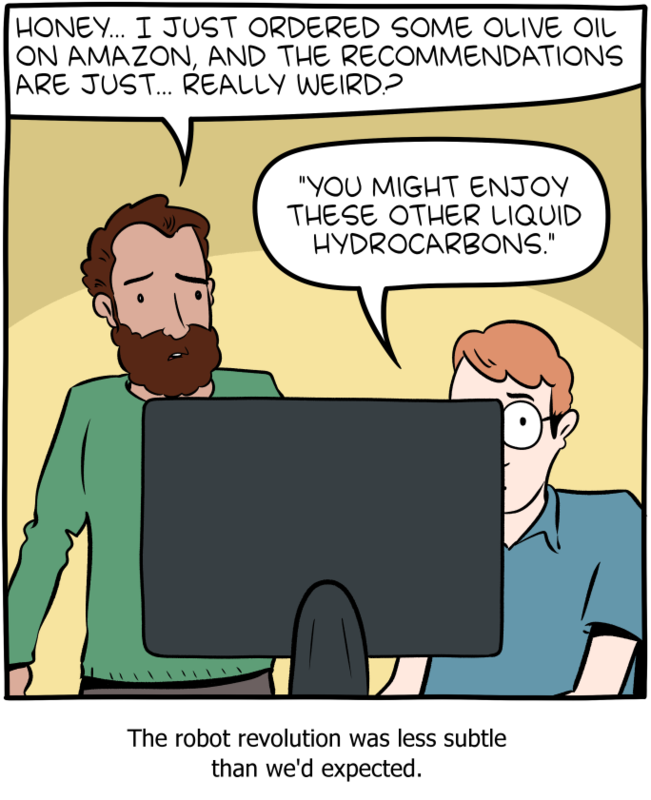 One guy said "no, because it has oxygen atoms", but dozens of the other participants gave entirely different answers: "what the hell is a hydrocarbon? ", "Why are you threatening me with a knife? ", "Just take my money! ", and so on. This matter may well remain a mystery.